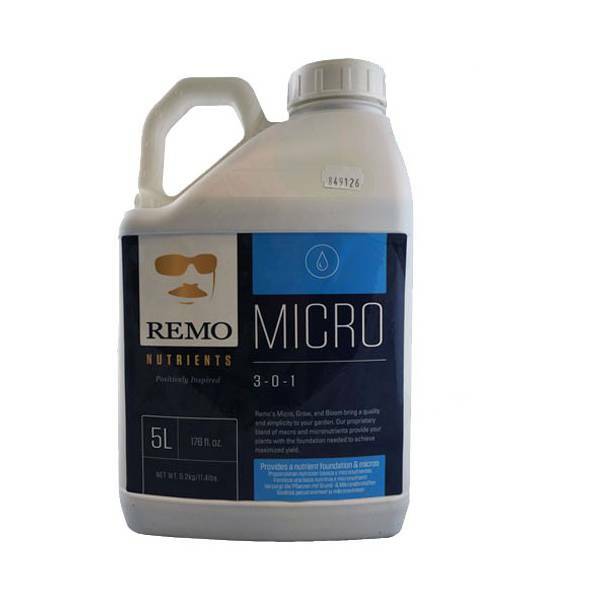 Remo’s Micro contains calcium in both a chelated (EDTA) and nitrate form, boron, chelated copper, iron in two forms for maximum absorption (EDDHA & EDTA), chelated manganese, and molybdenum. Calcium EDTA is highly effective in increasing fruit production, heat stress reduction, and when used with boron it improves cell wall structure for hardy, strong plants. 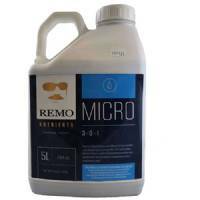 Remo’s Micro is designed to be used throughout the full grow cycle, in equal amounts with Grow or Bloom to compliment and complete the macro and micronutrients needed for plants.